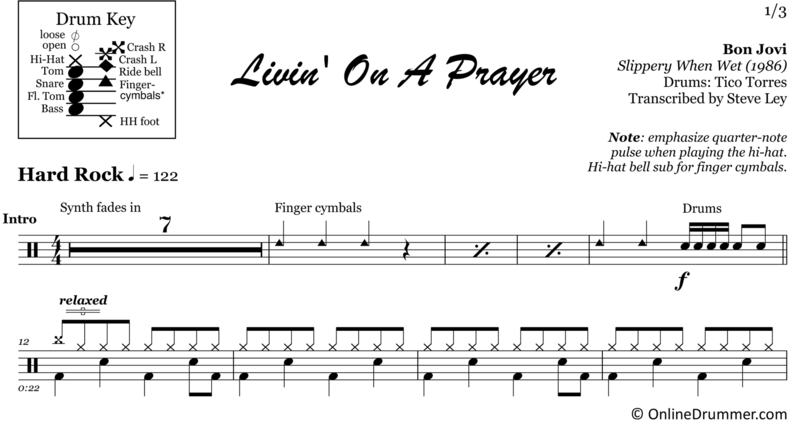 The full drum sheet music for “Livin’ on a Prayer” by Bon Jovi from the album Slippery When Wet (1986). 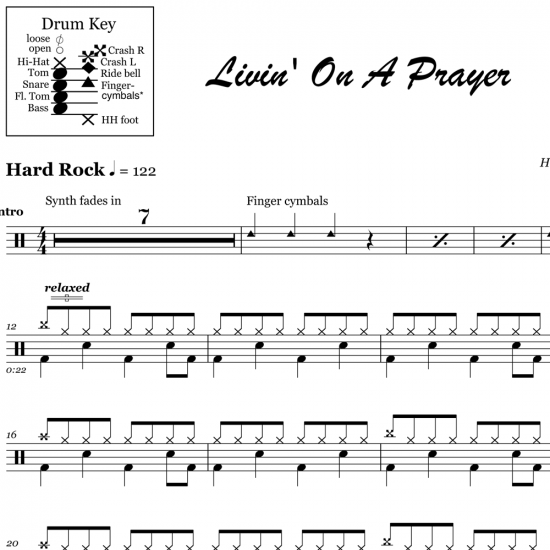 Grow out your ’80s metal hair, grab your sticks and play this Bon Jovi hit. 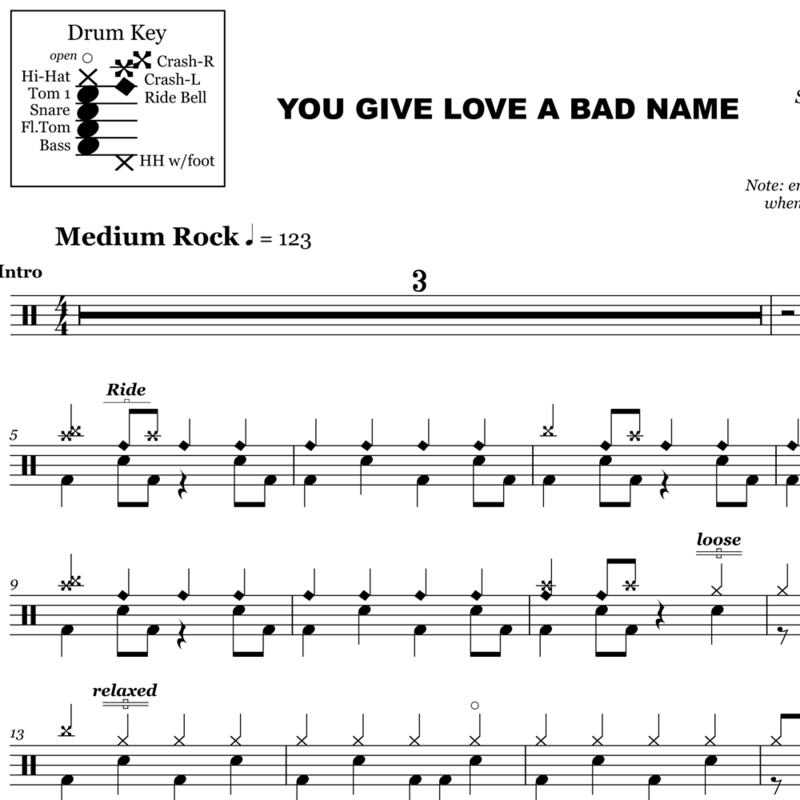 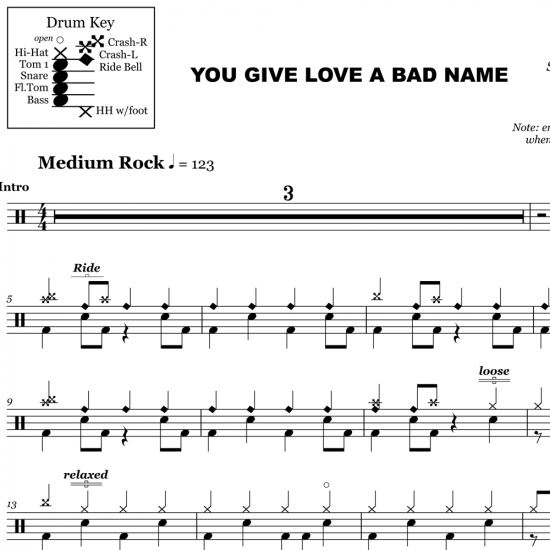 The full drum sheet music for "You Give Love a Bad Name" by Bon Jovi from the album Slippery When Wet (1986).